An organ transplant represents a new life for a person, a palpable sense of hope extracted from the depths of sorrow and grief in the case of a dead donor. But transplants are also a matter of statistics, and Rafael Matesanz keeps his emotions firmly in check as he works on the numbers that have taken Spain to the undisputed position of world leader in donations and life-saving operations. From his office in the grounds of a medical research campus in Madrid, the director of Spain’s National Transplant Organisation (ONT) welcomes the results from 2014, which saw new records set even as the country’s health service reels under austerity-dictated cutbacks. Last year saw 4,360 transplants carried out in the country, with the deceased organ donation rate standing at 36 per one million inhabitants. In France and the United States this figure is 26, while Germany, which has a completely different transplant system to Spain, slumped to 11 in 2013 – the most recent year on record. The Spanish model has been perfected by Matesanz since he took over the newly created ONT with a tiny staff in 1989, amid protests from kidney patients on endless waiting lists. In three years he took Spain to the perch of world leader, with donors per million rising from 14 to 22. It has stayed at the top ever since. “We decided to focus right away on the donation of organs. This might sound like a statement of the obvious, but all the other European transplant foundations of that time were focused on distribution.” Other countries’ donation organisations were, and in some cases still are, private foundations, whereas the ONT is part of Spain’s Health Ministry in a country where the importance of private hospitals in transplant surgery is minimal. The key to Matesanz’s professionalisation of this medical sphere was the implantation of transplant coordinators in each hospital. Even then, he admits, the role was not an entirely new one. “All we invented was that the transplant coordinator must be an intensive care specialist,” as opposed to a technician or nurse. Coordinators receive special training and are often rotated to prevent psychological burnout. In total, the ONT has trained 16,000 health workers so that medics and nurses all the way down the line are aware of the opportunities to gain donors and follow the right protocols to protect organs and tissues. So why doesn’t the rest of the world just copy Spain’s success? Matesanz has also led the main European and Ibero-American transplant organisations with the result that several southern European countries, from Croatia to Portugal, have had success after implanting a similar model, while Latin America is rising fast due to the Spanish connection. But in Germany, for example, Matesanz says there are difficulties coordinating an “uncontrollably” complex web of private clinics and insurance firms. Donations have actually fallen in Germany after revelations that waiting lists had been manipulated to benefit certain patients over the rest. The UK’s problem has always been a relatively small number of well-paid doctors, who are less likely to be tempted by the more administrative role of a transplant coordinator. “They have far fewer doctors than we do in Spain and they earn a great deal more,” Matesanz observes, explaining that UK authorities did end up creating the role of coordinator using senior nurses, and results are improving. When Mariano Rajoy, the Spanish prime minister, last visited ONT’s headquarters, it was to make a blunt political point as it coincided with Catalonia’s 11 September national day, on which hundreds of thousands would take to the north-eastern region’s streets in support of independence for the third straight year. From Matesanz’s point of view, Catalan independence would be a disaster for both sides. “In Spain, between a quarter and a fifth of organs transplanted come from a different region. No region could come anywhere near the national results on its own.” He points out that Catalonia and Madrid are net receivers of organs because this is where the best and most daring surgery is undertaken. 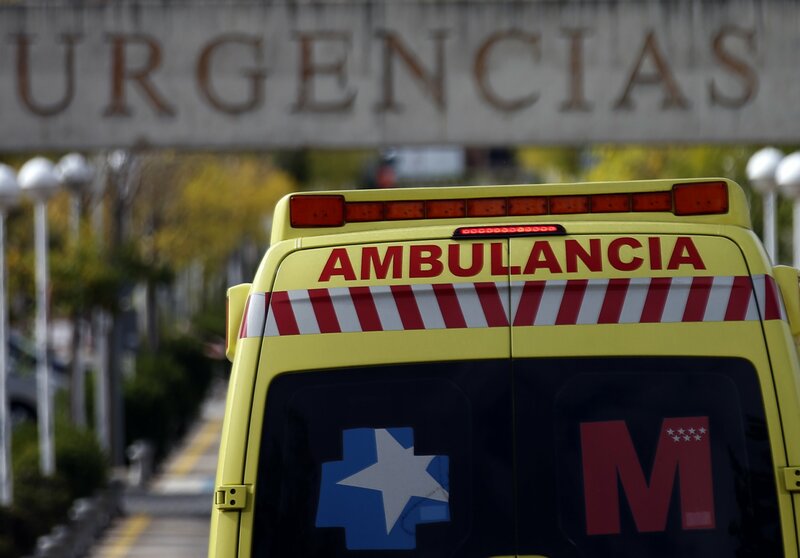 The Catalan regional health department declined to answer when asked whether independence would mean the end of active cooperation with the Spanish transplant authority. In fact, older donors have become the norm: most in Spain are now over 60, while organs from road accident victims now account for only 5% of those transplanted. Only constant adaptation and innovation will keep Spain out in front, according to its transplant chief, whose current obsessions include capturing more donors in other hospital units besides intensive care, and a greater focus on using organs from patients whose hearts have stopped – speed in the harvesting of these tissues is critical. With per capita public health spending having fallen by 11% between 2010 and 2013, Matesanz believes that only the pride taken in Spain’s number-one ranking has averted a downturn in donations, as he says occurred in Portugal, Ireland and Greece after their economies were bailed out.